Documentary – 4K, HD, military, science, underwater, entertainment and medical production. Corporate – Internal and external communications, Web, VNR’s and new product promotion. Military – Training, documentary, aerial, weapons systems, Special Forces, Airborne and government video productions. Underwater – Sharks, shipwrecks, marine life and 4k & HD underwater stock footage. Medical – Training, recruiting, patient information, surgery, ER, disaster drills and product demos. Aerials – FAA Licensed drone operator. Cameras – Sony F330 XDCAM HD, Disc High Def camera, 1080/59.94i, 50i, 29.97P, 25P and native 23.98P, NTSC or PAL, HD, HDV, DVCAM, Skin Detail, Fujinon 17X5.5 lens, 4K GoPros. Sony PMW-200 XDCAM HD/EX – SxS High Def camera, 1080/59.94i, 50i, 29.97P, 25P and native 23.98P, NTSC or PAL, HD, HDV, DVCAM, Skin Detail. Sony Z1U 16:9 HDV – Tape High Def camera, 1080/59.94i, HDV, DVCAM. Sound – Sound Devices 302 mixer w/cables & adapters, Lectrosonics wireless’ w/Tram lavaliers and cube transmitter, Sony Lavalier mics, EV RE-50 Stick mic, Sennheiser shotguns w/windscreen, TASCAM DR-03 w/TC cable. 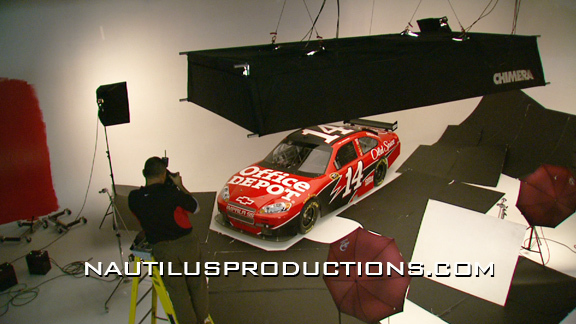 Lighting – ARRI, KinoFlo, Lowell light kits, LED’s, 200W HMI, gels, chroma key backdrops, C-stands, dimmers, etc. Grip/Misc. – Jimmy Jib, Sachtler tripods, Matte box w/filters, Ikan portable HD Monitors & Sony 8042Q Monitor, GoPros, cookies, HiHat, Anton Bauer Batteries & more. Underwater – AGA masks and OTS communication system. Rick Allen, Executive Producer, Director, Editor – has been producing documentaries and shooting video since 1983. As a video producer, director and videographer his work has appeared on ABC, A&E, BBC, CBS, 60 Minutes, Discovery, TLC, National Geographic, 48 Hours, ESPN, Lifetime, Turner and more. He has followed SWAT teams through the door on drug busts, traveled from Cuba to Kazakhstan with the 82nd Airborne, weathered live broadcasts during hurricanes, hurricanes, gone nose to nose with 14 foot Great White sharks during underwater expeditions and is the project videographer on the Blackbeard’s Queen Anne’s Revenge Shipwreck Project. 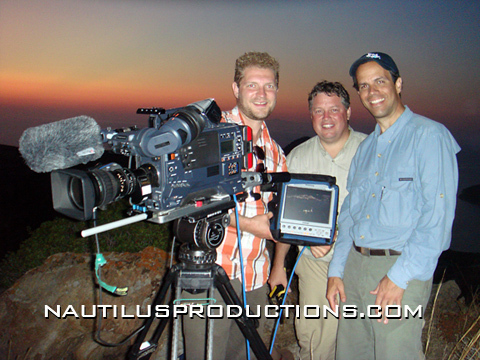 After 12 years in broadcast television Allen opened his own video production company in 1997 focused on documentary production as well as providing freelance videography and underwater video services to broadcast clients. Nautilus Productions has produced documentaries for National Geographic International, the Canadian History Channel, North Carolina Public Television, Texas A&M and the Bureau of Ocean Energy Management (US Dept. of the Interior). You can also regularly see his stock footage during Shark Week on the Discovery Channel. In 2008 Allen completed the Mystery Mardi Gras Shipwreck documentary for Texas A&M University and the Minerals Management Service. The one hour HD documentary chronicles the mysterious sinking of a 19th century shipwreck, the deepest underwater archaeological project ever attempted in the Gulf of Mexico and the month long expedition mounted to explore, recover and conserve artifacts from the wreck site. 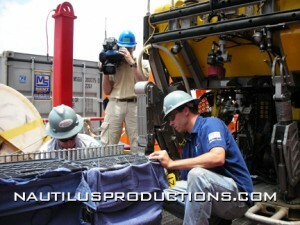 Since 1998, Allen has been the project videographer on the Queen Anne’s Revenge Shipwreck Project. His duties include the documentation of the archaeological survey and recovery of artifacts from the wreck site. In the Fall of 2000 Allen co produced with Bill Lovin of Marine Grafics a groundbreaking, weeklong live internet broadcast known as QAR DiveLive from the wreck site. For the first time ever, live video and audio was broadcast from an underwater archaeological site to the World Wide Web. The twice-daily live distance learning programs reached an estimated 1600 students from as far away as Canada during the five days of broadcasting. October of 2001 Allen and Lovin again co produced DiveLive 2001. This time the interactive webcasts from the seafloor and conservation laboratories of the Queen Anne’s Revenge Shipwreck Project reached over 3600 students from fifteen states and 2 countries during the five days of broadcast. Graduate NPPA Oklahoma Television Workshop. 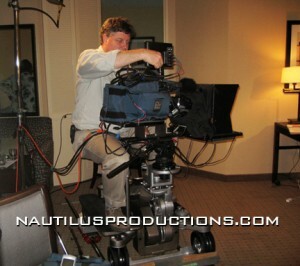 2011 Telly for editing National Institute of Health “Impact” video. CLIENTS: ABC, APTN, BBC, BOEM, CBS, 60 Minutes, CNN, Coca-Cola, Coleman/Fleetwood, Discovery, E! Entertainment TV, Eli Lilly, ESPN, FOX, General Dynamics, Harpo, History Channel, 48 Hours, NOAA, North Carolina A&T University, Office Depot, Smithsonian Channel, TLC, Travel Channel, Origin Medsystems, Real TV, Reuters, SportSouth, Sprint, Texas A&M University, Turner, UNCTV, Visual Eyes, WDR, N.C. Underwater Archaeology Branch.